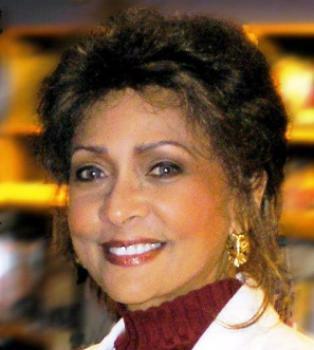 Janet Langhart Cohen joined WISH-TV as the first African-American to host her own daily show in Indianapolis doing the “Indy Today” program. She won the CASPER award her first year on the show for her tough questioning of guests. Her success led her to host a similar show in Boston where she stayed for just over 4 years. In 1996 she married U.S. Senator William S. Cohen and became known as the “First Lady of the Pentagon” when her husband became Secretary of Defense. She initiated several programs within the Pentagon including her own series of interviews on Pentagon TV. She has authored a memoir and written a play, “Anne and Emmett”, which imagines a conversation between two teens: Nazi victim Anne Frank and Jim Crow victim Emmett Till.